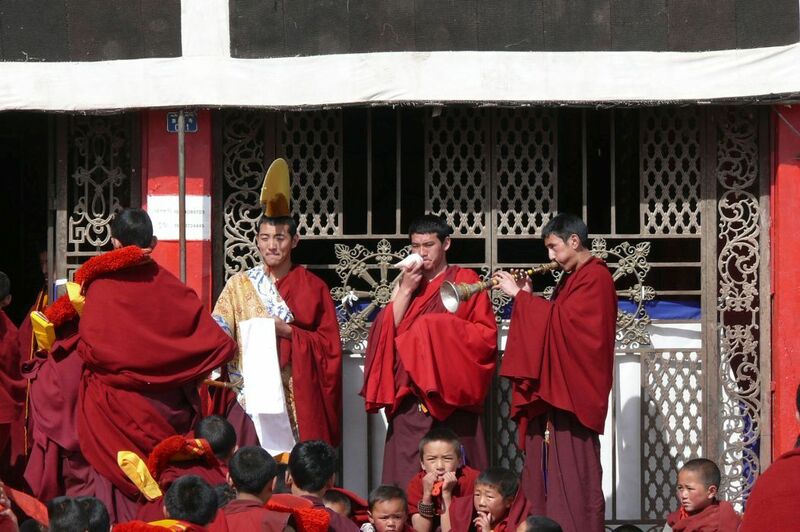 The Jonang order is a small school of Tibetan Buddhism, and is found for the most part only in the Ngawa area of Kham. 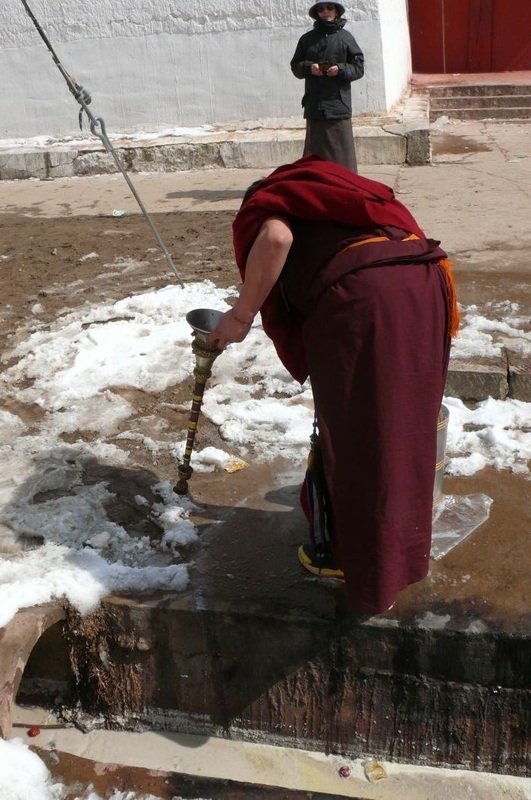 We were fortunate to be able to visit Se Monastery located at the eastern edge of Ngawa town. It is a thriving monastery with in excess of 600 monks, many very young (and animated and naughty!). 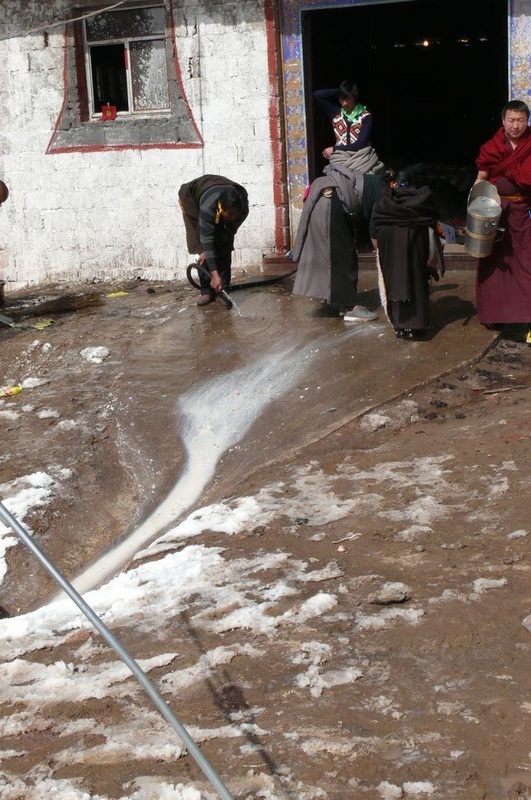 There had been a heavy snowfall the day before and the monastery was busy cleaning up as it prepared for a Maitreya Transportation around the kora of the monastery followed by each monk carrying a volume of Kanjur (the words of Buddha). We were outside the kitchen as cleaning was taking place. Little attention was paid to us as there was work to be done with sweeping and washing. 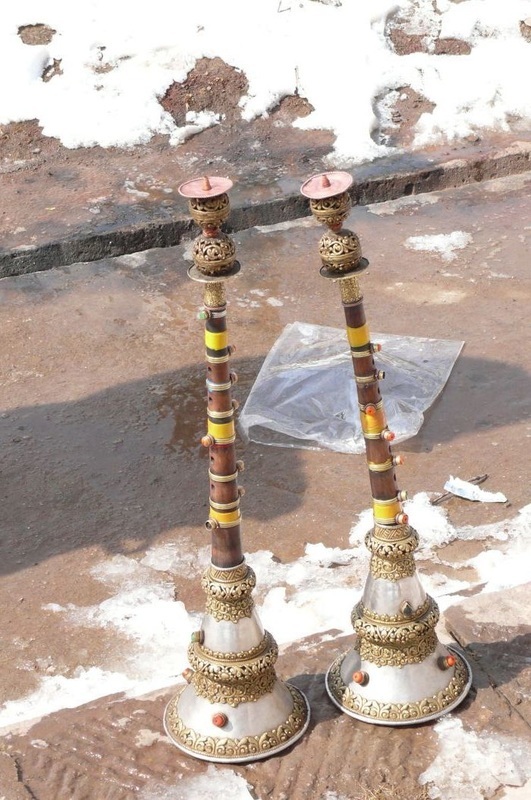 We did notice two flageolets or Gyalings sitting seemingly forgotten on the ground to our front. But they had not been forgotten. 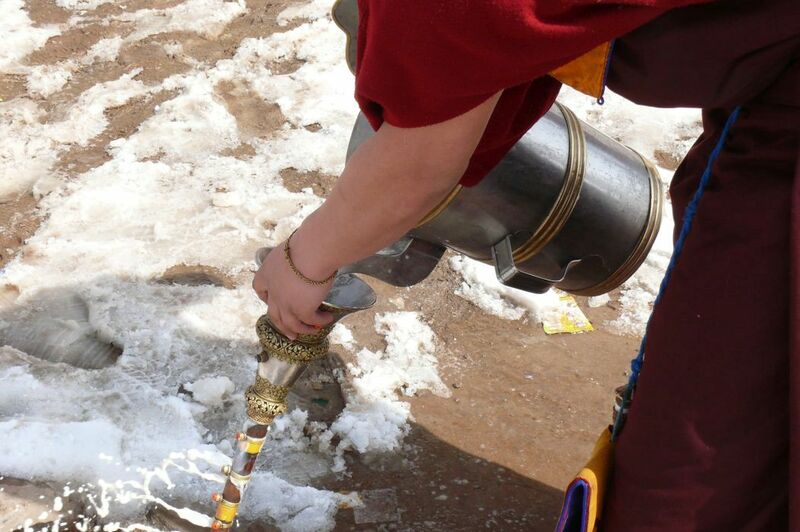 Coming from the kitchen was a monk with a tea canister. Of course it ran straight through the pipe and came out the mouth and finger holes! Of course there must be some reason why milk tea is used to clean a gyaling, instead of hot water or some other solution, but the reason is as yet unclear. But the flow did seem to improve. Satisfied that the first one was done, he placed it aside and grabbed the second gyaling. It too responded well to the milk tea. In just a few minutes both gyalings had been rinsed with tea and were now ready to be taken away. 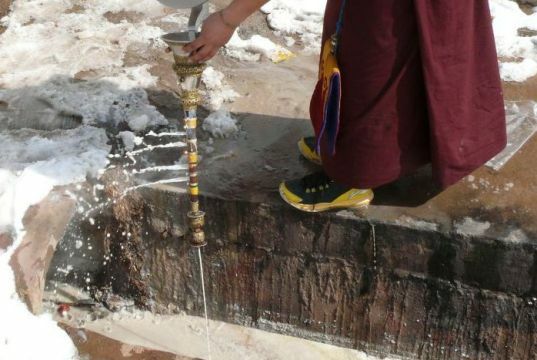 It was but a few minutes later that the procession around the kora began and, as the monks returned, one of the gyalings, accompanied by a conch horn, was at the main door to the Chanting Hall to welcome them.